TEAM Lakay scored impressive victories with Stephen Loman holding the torch for the Baguio City based mixed martial arts squad as he successfully defended his Brave Combat Federation world bantamweight title at the Mall of Asia Arena Friday evening, March 15. Loman needed four rounds to dispose former Brave featherweight champion Elias Boudegzdame with barely a second in the fourth round to retain for the third time his bantamweight belt. The Ifugao native fighter, however, endured strong resistance from the challenger who nearly caught Loman with a rear naked choke in the opening round. With his highly improve ground defense and striking, Loman methodically dissected Boudegzdame with body blows, landing a perfect left to the chin that dropped the Algerian fighter with the defending champion finishing him with ground and pound. "Brave gave me the huge honor of being the main event of their first card in the Philippines so I'm grateful for this opportunity. 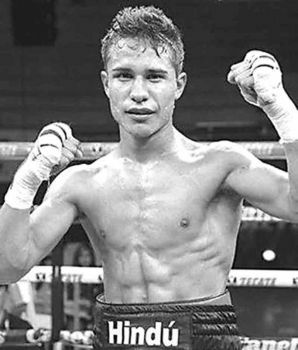 I want to thank my family and friends and all of the Filipinos who showed support," Loman said after the bout. Loman also dedicated his bout to his uncle who died in a hit and run accident. “I would like to dedicate this fight to my family and teammates. But was also to my uncle, who passed away this month. This was for him, definitely,” Loman added. Jeremy Pacatiw and Harold Banario also scored impressive victories against their rivals in the undercard of Brave 22, its first event in the Philippines. Bantamweight Pacatiw improved his record to 9-3 after submitting Mark Alcoba (6-2) in the third round with an armbar while brave debutante Harold Banario meanwhile clinched his fifth win in six outings after winning against Ariel Oliveros (3-4) with a submission in the first round. The younger brother of former ONE featherweight champion Honorio, Banario quickly took Oliveros at the get go and completed a heel hook that forced Oliveros to tap out. Flyweight Jomar Pa-ac (6-4) eked out a unanimous decision win over Sataya Behuria while Jon Chris Corton (6–4) came up short against Abdul Hussein (6-1) after being submitted in the first round with a ninja choke. 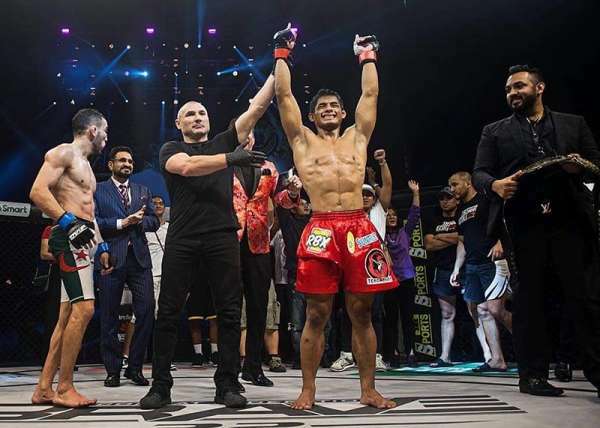 Filipino and former UFC fighter Rolando Dy was also impressive in his home coming bout after knocking out Mehmosh Raza in just 59 seconds of the first round.